Democratic activist and billionaire Tom Steyer is putting $1 million behind "Black Lives Rising," an initiative to increase turnout among black youth voters in the 2018 midterm elections. Why it matters: Black voter turnout dropped in 2016 for the first time in a presidential election in 20 years, per Pew Research. Minorities typically vote Democratic, and higher turnout could allow them to have a significant impact on key races across the country. The big picture: Steyer's initiative — in partnership with four groups including Color of Change PAC and Black Futures Lab — is one way Democrats could increase turnout in an off-year election. It's not just about which political party could benefit the most. Black voters often feel that candidates who rely on their votes don't engage with them until the final stretch of the election. The backdrop: Black Lives Rising will organize black youth voters across the 13 cities that Steyer's NextGen initiative has targeted this cycle — including in North Carolina, Virginia, Pennsylvania, Florida, Michigan and Wisconsin. They're working to increase turnout in gubernatorial races, Senate races, and competitive House races. NextGen has been consistently interacting with youth voters in various capacities throughout the election cycle, including across 14 HBCUs around the country. They've spent more than $2 million on digital ads targeting black voters, and have recruited over 80 black activists to work with their NextGen fellowship program. What they're saying: Arisha Hatch, director of Color of Change PAC, said they're trying to "avoid a transactional engagement with black voters." This cycle they're focusing on black non-voters and black irregular voters — those who voted for Barack Obama once or twice but haven’t felt compelled to vote in midterm elections. 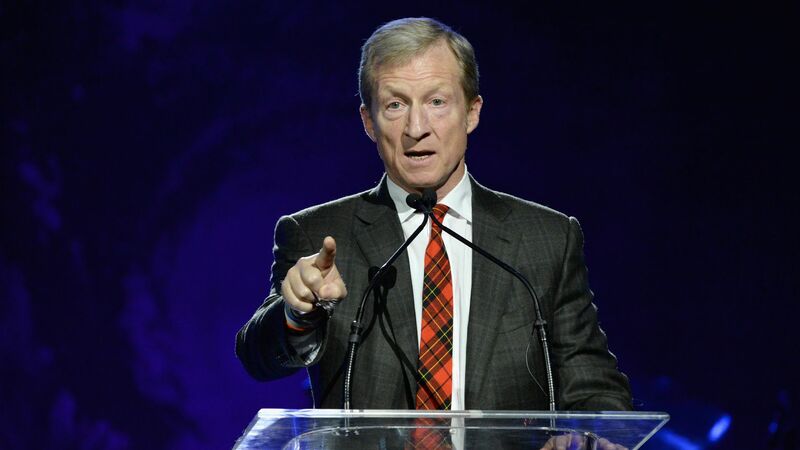 The bottom line: "For too long, black youth have been denied a seat at the table," Steyer said in a statement, "but with the rise of young black leaders ... a new era of inclusive politics is emerging."